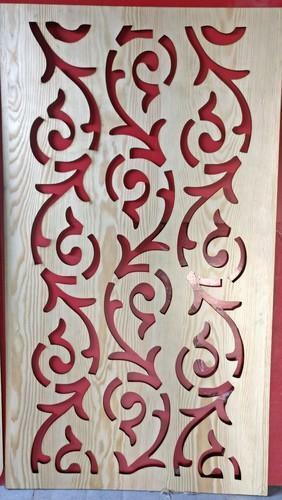 Providing you Customized Decorative MDF Jali which is highly appreciable in our industrial domain. Magnus Interio LLP is manufacturing a huge compilation of Veneer Cut Grills, ENGRAVED STONES, ENGRAVED MDF BOARDS and PERSONALIIZED GIFTS. making use of supreme in class material and progressive tools and technology; these are in conformism with the norms and guidelines defined by the market. Along with this, these are tested on a set of norms prior final delivery of the order. Magnus Interio is having a long chain of esteemed clients including Indore Police,SICA school,COOPERATION SOCIETY RATLAM,R.K. CONSTRUCTIONS INDORE,SRI RAM TRADING COMPANY KANTAPHOD,HINA GARMENTS DEWAS and many more. Company's motive is client satisfaction and quality work.